Throughout the year, my family complements our New York City life with visits to the North Fork of Long Island. Depending on the season, most of our trips are spent relaxing around our home and nearby beach, riding bikes, cooking, hiking and the occasional visits to places not available in our NYC neighborhood (e.g., Splish Splash Water Park, and of course, Target). The main attraction for us is the landscape - from the beaches and inlets to the farms and vineyards - and the contrast the location as a whole provides to our city lives. Sometimes though, I miss some of the pieces of my city life, like poking around small home goods and design stores for interesting and unique finds. But unique finds can be discovered in North Fork - at weekend yard sales, in vineyard gift shops, galleries and boutique stores. The Village of Greenport boasts shops that cover a range of styles, price points, and items. Marika’s on Shelter Island is a popular choice for many seeking eclectic additions to their home or garden. I also highly recommend Phoebe and Belle, in Cutchogue. 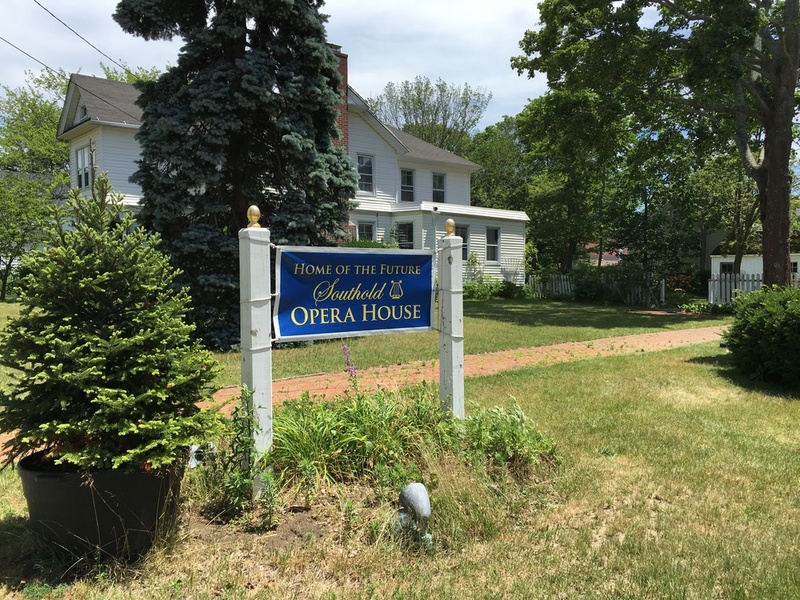 One of the hamlets close to our home is Southold, which has a downtown anchored by an IGA grocery store, the library, and Rothman's Guitar and Department Store. There are a few home goods shops in the area selling curios and antiques, and a nice culinary supplies boutique, Complement the Chef. But while other nearby hamlets have shifted and developed in their shops over the years, “downtown” Southold has remained fairly static. Earlier this summer, as I made my way to the IGA to stock up on basics, I was pleasantly surprised to discover a number of changes to Southold – especially in the genre of furniture, food stuffs, décor, etc. So a couple of weekends ago I took time away from my very busy agenda of reading on the porch to window shop and snap photos along Main Street. White Flower Farmhouse has been on Main Street for a few years and was on Peconic Lane in Peconic before then. Its goods include vintage furniture, toys, soaps, and accessories. It is a calming place to visit as the color palette is mainly composed of rustic whites, beautifully displayed. They're a nice compliment to the beach-y agricultural vibe of the area. About Food is just that - a small shop focused on artisanal food items such as pestos, cheeses, spreads, and local eggs. Everything is thoughtfully presented and a perfect accompaniment to farmstand veggies and simple meals from the grill or cooktop. Coast is a small gift shop which highlights the proximity of the beaches, which on the North Fork range from bays and sounds to small inlets and creeks. I plan to re-visit soon and review their collection of nautical maps. Re:Design sells a selection of vintage goods, many repurposed through the owners' estate cleanout and yard sale services. Newly opened this year, it will be a great place to stumble across new gems. Much easier than waking up for early morning tag sales! Also new this year to the Main Street strip and the first store to catch my eye, is TouchGOODS. The founder, Norine Pennacchia, does a beautiful job of curating her items - a colorful mix of vintage furniture with a soft modern vibe, new pieces with relaxed shapes and tonal colors, decor, lighting and art. I absolutely plan to keep this one in my browsing rotation. Love these bright watercolors of Long Island! On my walk I discovered another interesting development — the previous home of the Southold United Methodist Church is soon to reopen as Southold Opera House. This should be interesting to watch! I finished my stroll with a visit to North Fork Roasting Co - a pretty fantastic place for small batch coffee, teas, and snacks. 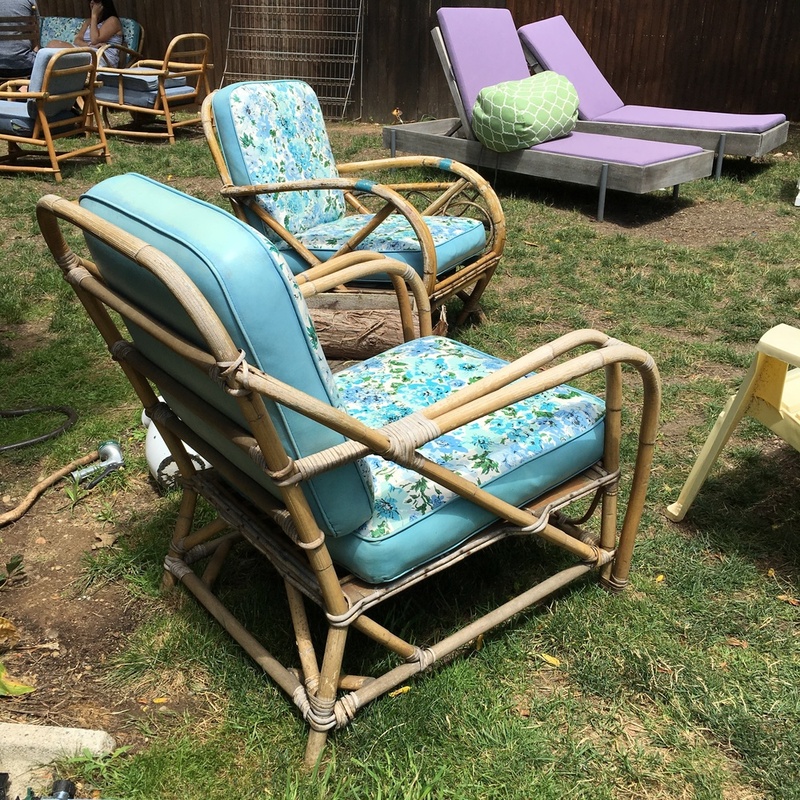 It also hosts a collection of easy and very used furnishings in its garden to welcome guests, including the bamboo chairs, which are similar to those in our pool house that I revived with new sun-proof upholstery.